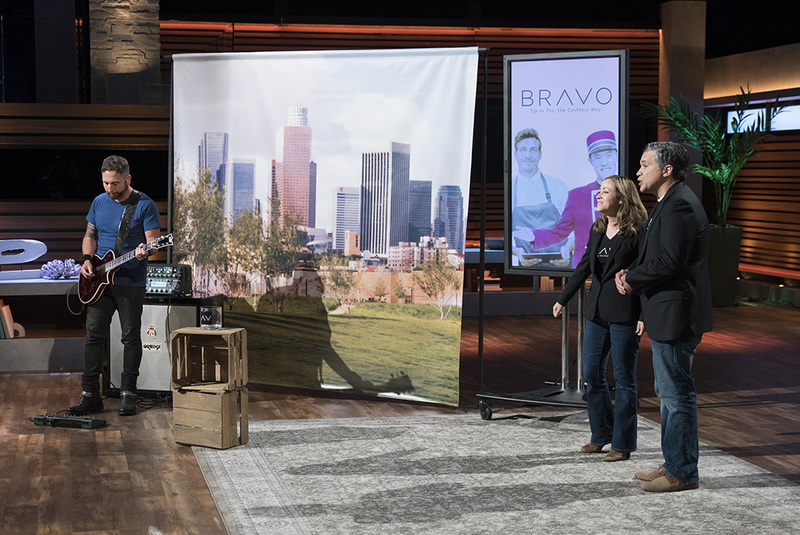 BRAVO Tip or Pay - As Seen on ABC’s "Shark Tank"
Share money, not your data. 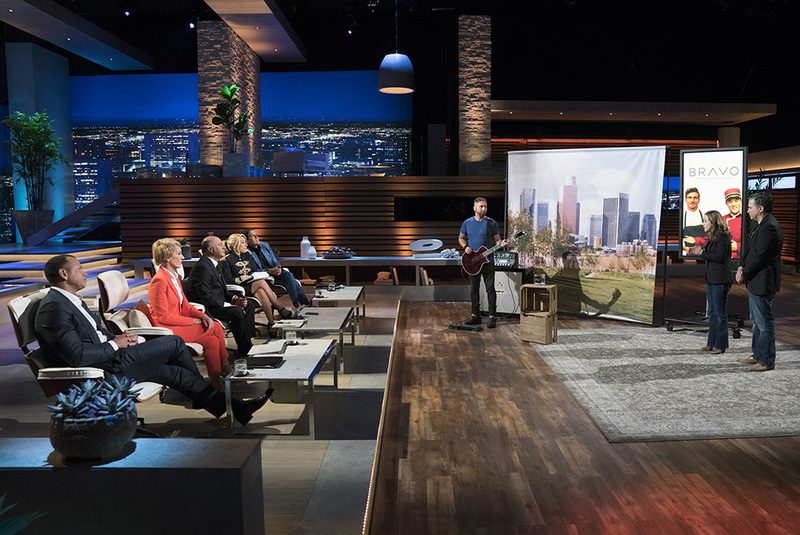 See us on ABC's "Shark Tank"
Use BRAVO to find service professionals and others near you securely using your GPS location. BRAVO never discloses your actual location, it only shows who's nearby. Sharing phone numbers and email addresses with strangers can be risky. With BRAVO, there is no need to share any personal information; simply search for people by username or BRAVO code on our “SEARCH” tab or find them by proximity in our “NEARBY” tab. 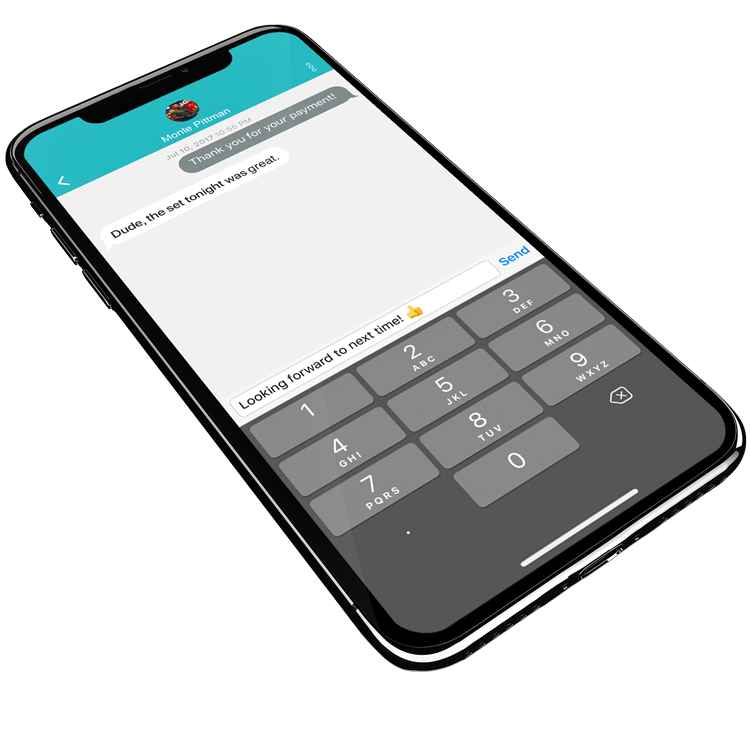 Send and receive messages from fans, leave ratings for awesome services received or simply remind people it's time to pay up. 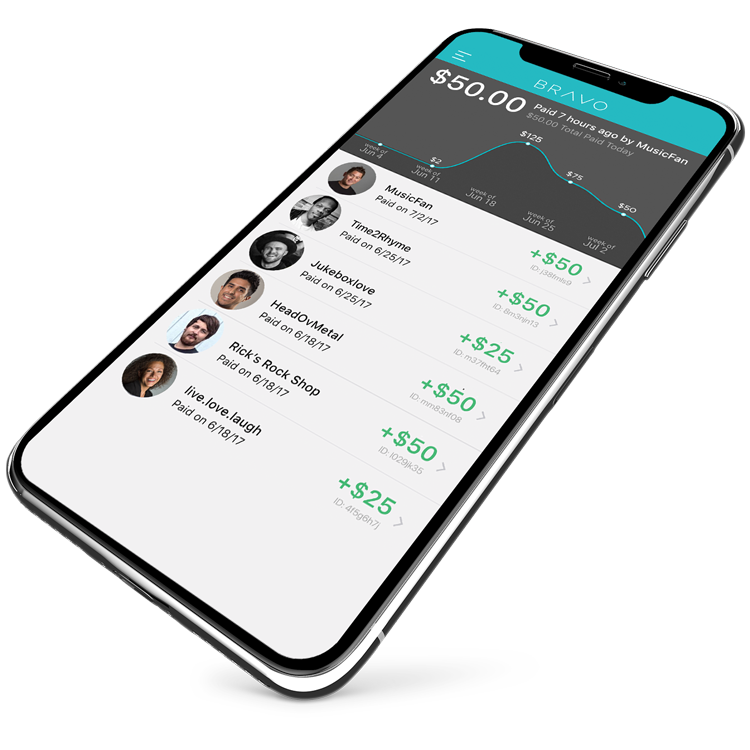 When people send you money with BRAVO, there are never any fees deducted from your payment and best of all, your tips go straight to your bank account. Powerful dashboards in BRAVO enable you to see your income for the current week or a different period along with a list of your top fans. BRAVO uses bank-grade encryption and security to protect your information at all times. Receiving money on BRAVO is always free. Use it for casual tips or to sell merchandise, your choice. 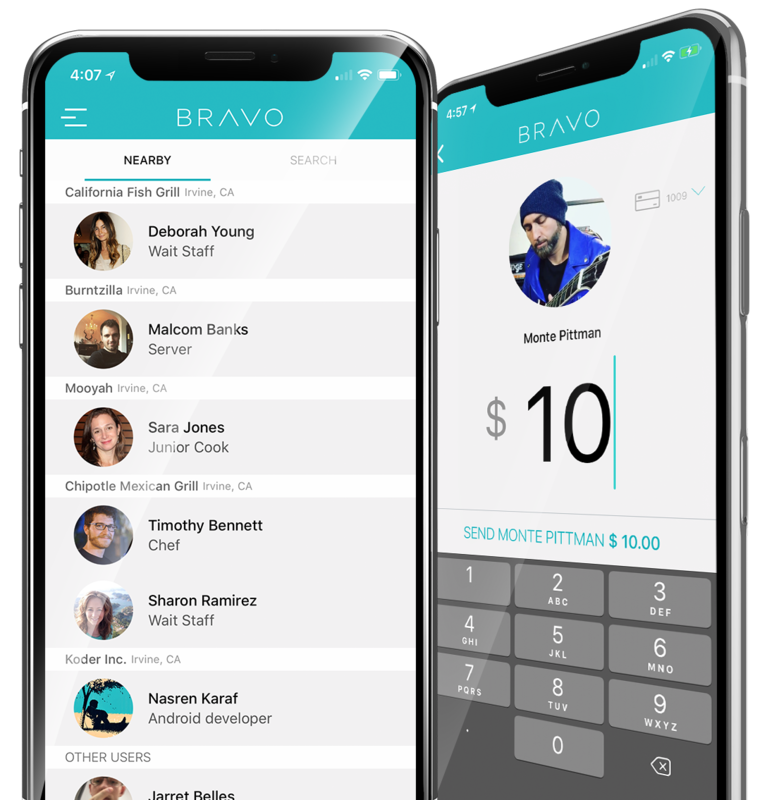 Beyond payments and tipping, BRAVO allows users to connect and chat without sharing a telephone number or email address. Messaging between two people requires a transaction to be completed. BRAVO enables you to block people or disable messaging altogether.